This summer transfer window has come to an end and there are only couple of days in hand. In the meantime, the Serie A champion Juventus id desperate to secure their midfield section and they are looking for possible alternatives everywhere. 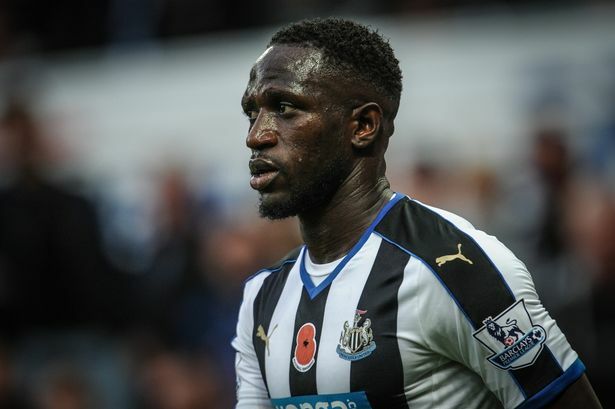 Now, they are pondering to make a move for French midfielder Moussa Sissoko who is currently playing for Newcastle United. They are preparing for tabling a bid of £15 million for the Frenchman where the English side wants almost £35 million valuation. 27 years old this French midfielder was in the spotlight after showing amazing performances in last UEFA Euro 2016 where they lost in the final against Portugal. Since then he has come to the radar of Massimiliano Allegri who is the boss of Italian side. So, now, when the time has come, they want to buy him for £15 million but the English club refused to accept their offer unless meet their asking price. They have stated that this Frenchman has proved himself in Euro 2016 and no question about his ability. He is undoubtedly a promising player. On the other side, the Old Lady has claimed that his performance was average in last Premier League and so, his worth price is £15 million not higher than that. Now, if the Frenchman would reject the offer which has got from Italian side, then he would compete in Championship league rather than Champions League. Because, the Toon Army is relegated to the second division of English competition from Premier League by being 18th position in last EPL season. So, it would be wise for this France international to keep moving to the Old Lady and start a new career. However, the manager of the Killer Lady are in great need for a midfielder because he has lost a couple of great players this summer. Paul Pogba and Alvaro Morata are two of them. They are yet to find a perfect replacement of Pogba and if they will capable to bring Moussa Sissoko at their camp this summer, then it would fill the lack somewhat. Moussa Sissoko started his senior career with Toulouse in 2007 and stayed their till 2013. He made 192 appearances with them which is his highest appearances for a club till now. He made twenty goals for the club. Later, in 21st January, 2013, he moved to the St James’ Park with an undisclosed fee but was to be believed almost £1.5 million. He played total 118 appearances with them and netted 11 times.